Barber of Sheffield is a long established business based in Sheffield, England; a city with a long tradition of manufacture of stainless steel. Starting out as a medical engineering company over 40 years ago designing and building plants for suture needles and scalpel blades the company soon developed into offering a range of stainless steel suture needles, drilled end needles, sternal needles, hypodermic needles and other specialized surgical needles. Barber of Sheffield has continued to expand and over the years has moved into other markets including the veterinary, hospital, mortuary, funeral as well as the tattoo and piercing market. We initially offered our traditional stainless steel products but have since expanded our range offering a broad spectrum of products into all of these markets. At Barber of Sheffield we pride ourselves on exceeding the expectations of our customers, our employees and our suppliers. Our dedication to providing and nurturing long term relationships ensures our customers will come back to us long after the initial sale. At Barber of Sheffield, we could not provide the high-quality service to our customers if we did not have such dedicated and talented employees. We maximise the potential of our employees by relevant training so that they can do what they do best-serve our customers. Barber of Sheffield is committed to ISO9001:2008. It is our aim to offer a prompt and personal service to all our customers. Customer satisfaction is achieved by recognising, understanding and evaluating customers’ needs and trying to exceed them. If you would like to receive a catalogue or any further information on any of our products please click the link below to fill out our contact form and we will send the information to you. Alternatively you can contact us by telephone in the UK on 0114 257 6022 or International number 0044 114 257 6022. 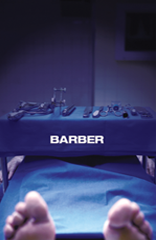 Barber of Sheffield has a strong history in the supply of medical products into various markets, including mortuary, autopsy, pathology, veterinary, emergency services (including ambulance, fire and police), funeral, university, educational and the disaster relief markets. We are able to provide a wide range of products including a range of bespoke equipment including such items as stainless steel trolleys and tables, autopsy tables, wash tables, embalming tables, body trays, dissection tables, lifting equipment, concealment trolleys, instrument tables and stretchers. We also provide a range of consumable medical products including such items as body bags, stainless steel instruments, autopsy saws, scalpel blades, bone forceps and shears, specialized gloves and cleaning products. 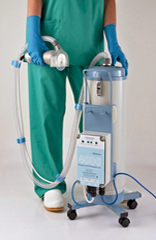 We are well known and respected throughout the medical field providing a first class service to our customers. recognised as a leading brand in the autopsy and mortuary market. saw that meets the requirement of the autopsy market. 2011 saw us move into the plaster saws market where we offer a great range of plaster saws and a complete range of stainless steel plaster instruments. steel tattoo needles, tattoo machines, tattoo tips, tattoo grips, tattoo ink and tattoo power supplies. Dragonfly,Tattoo Goo, Kev Shercliff and the Cheyenne Hawk. wide a range as possible with same day despatch. Barber of Sheffield has a long tradition with stainless steel and trades with companies throughout the world in providing high quality specialised surgical needles. 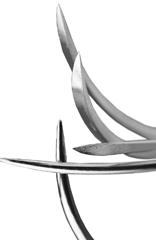 We offer a huge range of stainless steel needles including eyed suture needles, drilled and suture needles, hypodermic needles, sternal needles, channel needles ,tattooing needles, body piercing needles and blades. We produce a huge range of be spoke needles for many different markets (not just medical) that can be produced in both small and large volume. We are one of the only companies left in the UK that can provide such a vast range of needles from stock and that can also listen to our customers to provided the needle they require for their particular application. Barber of Sheffield is the leading supplier of eyed suture needles into the UK veterinary market with a range that covers overs 2000 variants including regular suture needles and spring eyed suture needles. Having worked closely with the veterinary profession over that last 20 years we have also designed a range of specialist animal infusion products, including giving sets, extension sets, scalp vein sets, intravenous cannulae and transfusion sets. 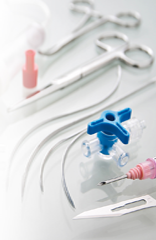 On top of our stainless steel suture needles we can also provide a complete range of stainless steel instruments, including forceps, scissors needle holders and bull rings. All our products are available throughout the UK Veterinary wholesalers in the UK but we also export our range worldwide. Copyright © 2013 Barber of Sheffield. All Rights Reserved.